Mapping custom fields can open up many opportunities and deliver information to your staff they need when on the move. One example is to map custom number fields to your calendar event start and end times, now you have intraday appointments not available natively in WorkflowMax! 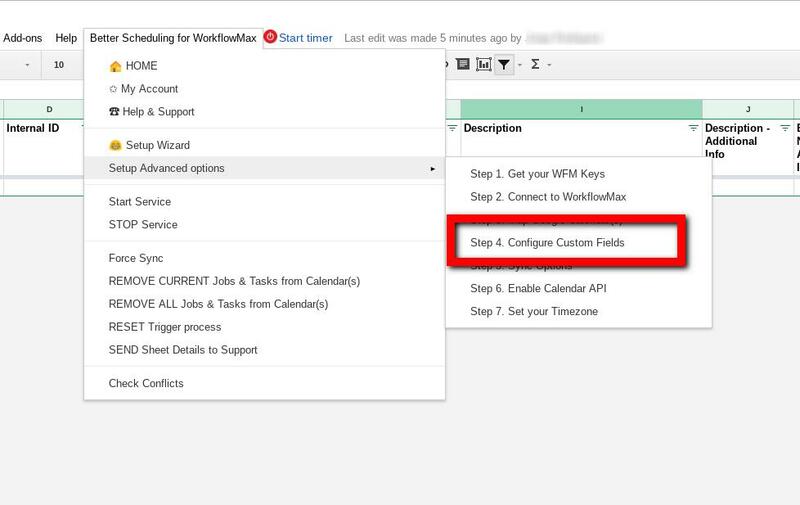 First you need to create your custom fields in WorkflowMax. See this link to complete that then come back here to map them in Better Scheduling. Choose the custom Job fields to map to the event fields by selecting the corresponding radio button. You can even map your custom Job fields to your Task events too. This is handy for example, your Job location is the same for all your tasks. Just sync the custom field that contains your Job address to each task too! 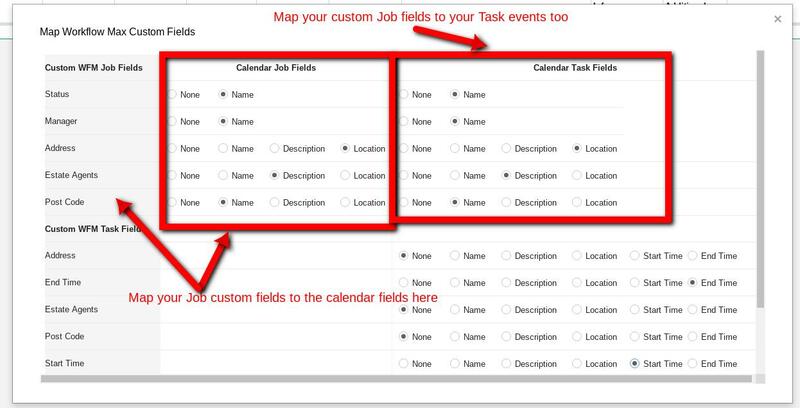 NOTE: If you map a Job custom field to a Task event filed, you can't map the Task custom field to the same event field as well ie. 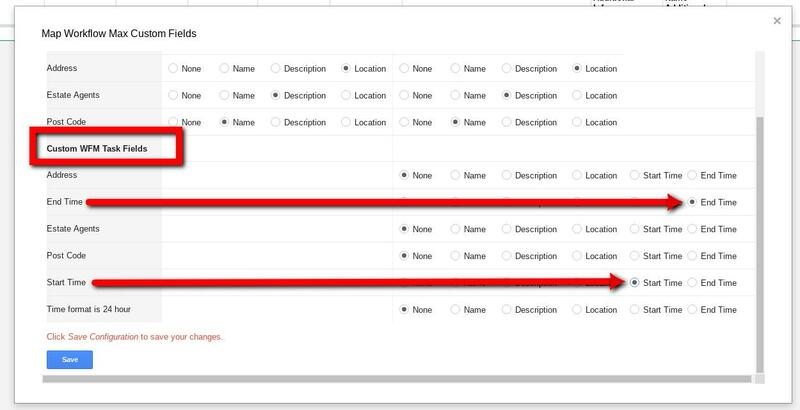 You can't have the Job address and the Task address custom fields mapping to the calendar event location field. Choose the custom Task fields to map to the events for your Tasks. Here you can map custom number fields to the start and end times for your events making intraday appointments! Sweet. NOTE: Your custom Task fields you will use for time should be either a text field or preferably a number field.